Soundstream Collective is the University of Adelaide’s new music Ensemble-in-Residence, established in 2011 by Artistic Director and pianist Gabriella Smart. The Collective is committed to shaping Australian culture through new music with cutting edge programming, composer collaborations, the commissioning of new works and community participation with the highest artistic excellence. Soundstream Collective embraces the performance, practice and reception of new music at all levels of engagement. Soundstream Collective was recognized nationally in 2013 through the APRA/AMCOS Award for Excellence by an Organisation. Soundstream was also awarded the SA/NT Creative Partnerships SME Award in 2013, for its partnership with sponsor Winston Music. Over twenty years, Soundstream has premiered works by leading composers including Esa Pekka Salonen, Alvin Curran, Elena Kats Chernin, Mary Finsterer and Tan Dun. Soundstream regularly performs live and recorded broadcasts for ABC Classic FM. In the 2014 Festival, Soundstream Collective performed in Tectonics, curated and conducted by Ilan Volkov. The Emerging Composers’ Forum was established in 2012, a national event creating opportunities for emerging composers through supporting the creation, workshopping, performance and recording of their works with the support of ABC Classic FM. The Soundstream education stream creates open dialogue between conductors, musicians and the public through Musician Workshops, Visiting Composer Residencies, large scale community events and such intimate events as the New Waves Listening Club. Soundstream has performed in the Melbourne International Festival, MONA MOFO, OzAsia Festival, the Adelaide International Festival, Melbourne Recital Centre, and the Judith Wright Centre (Brisbane). European appearances include at the Cité internationale des arts (Paris), and in China at the Lyceum Theatre (Shanghai), Shanghai Conservatory and the Forbidden Palace Theatre (Beijing). Pianist Gabriella Smart received a Churchill Fellowship in 2010, and a Helpmann Award in 2009. She is Artistic Director of the Soundstream: Adelaide New Music Festival, which received a Ruby Award for Best Event in 2009, and of Soundstream Collective, the University of Adelaide’s New Music Ensemble-in-Residence (est. 2011), which was recognized nationally in 2013 through the APRA/AMCOS Award for Excellence by an Organisation. Gabriella is a passionate exponent of contemporary music, and has given award-winning premieres of Australian compositions. She has performed widely throughout Australia, and internationally, promoting the works of Australian composers. Gabriella has premiered works by composers including Michael Nyman, Tan Dun, Elena Kats Chernin and Erkki Veltheim. As a concert pianist Gabriella has performed in the Melbourne International Festival, MOFO, TURA, OzAsia Festival, the Adelaide International Festival, and in Europe and China. In December 2009 Gabriella performed at the Shanghai Conservatory of Music, giving the Chinese premiere of a work by internationally acclaimed composer Xiayong Chen. She continues to collaborate with established and emerging Australian composers, commissioning and premiering their works. In 2010 she represented South Australia at the World Expo in Shanghai. She has given numerous live and recorded broadcasts for ABC Classic FM. 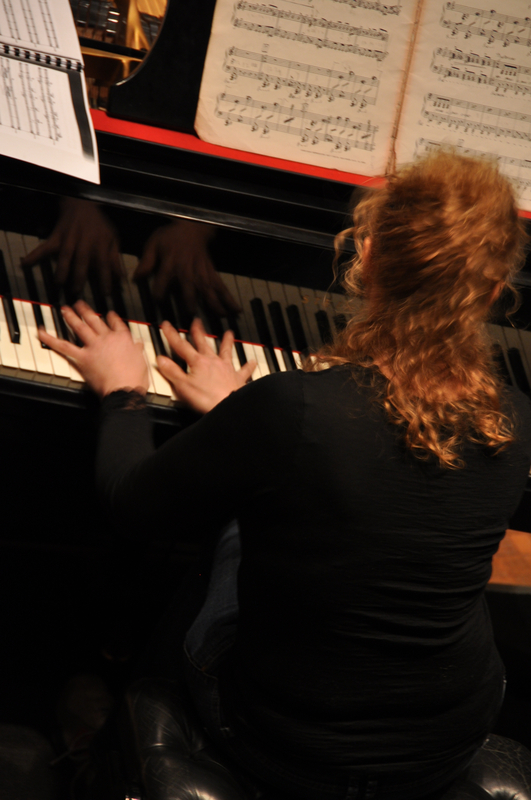 Gabriella teaches piano at the Elder Conservatorium of Music, and tutors at the University of South Australia. She records regularly for ABC Classic fm. Peter Handsworth completed an Honours degree in Music performance before pursuing two postgraduate performance diplomas at the renowned Hochschule für Musik in Karlsruhe, Germany, working intensively with the Professor Wolfgang Meyer (Clarinet) and Professor Peter Eötvös (Modern Music). Peter Handsworth has a long-standing commitment to contemporary music commissioning, performing and recording numerous works in Europe and Australia. Invitations to perform at preeminent international festivals, including amongst many others, Lockenhaus and Schleswig Holstein, have heightened his understanding and appetite for new music. With the South German Radio, he has recorded Berio’s Sequenza IX and most recently completed a studio recording of Australian music for the Bavarian Radio. A regular contributor to the ABC recording archives he has also produced two collaborative new music CD’s with the MOVE label entitled, Bridges and Conversations. Elizabeth Layton has had a distinguished career as soloist and chamber music player working with some of Britain’s finest ensembles and orchestras. Born in London and a graduate of the Yehudi Menuhin School and the Juilliard School in New York, she is a former member of the Nash Ensemble. Elizabeth has appeared as soloist with orchestras including the Philharmonia, English Chamber Orchestra, BBC Symphony Orchestra and London Mozart Players, as well as the Academy of St Martin in the Fields of which she was Associate Leader. She has performed and broadcast chamber music worldwide and made chamber music recordings for labels including DG, Hyperion, Chandos, BIS and Collins Classics. From 1999 – 2010 Elizabeth Layton was Leader of the BBC Scottish Symphony Orchestra with whom she broadcast as soloist with conductors including Osmo Vanska, Ilan Volkov, Jerzy Maksymiuk and Martyn Brabbins. She regularly directed the orchestra, broadcasting for the BBC with soloists such as Michael Collins, Alison Balsom and Martin Roscoe. 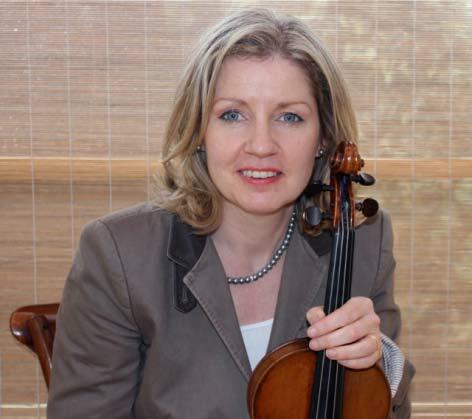 Elizabeth Layton has been a Professor of Violin at the Royal Scottish Academy of Music and Drama in Glasgow, UK. Adelaide-born Geoffrey Collins studied at the Sydney Conservatorium with Nancy Salas (piano) and Victor McMahon, James Pellerite and Margaret Crawford (flute). In 1982, while lecturer in flute at the Queensland Conservatorium, he was awarded a Churchill Fellowship to study in Europe with William Bennett, Michael Debost and Peter Lukas-Graf. Geoffrey currently holds two positions: his long standing appointment as flautist with the Australia Ensemble @UNSW and principal flute with the Adelaide Symphony Orchestra. 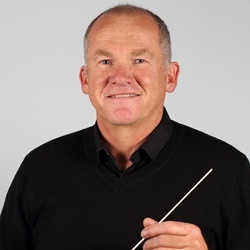 Geoffrey has held a number of the country’s most coveted flute positions, including associate principal flute and frequent guest principal with the Sydney Symphony Orchestra and, for many years, principal flute with the Australian Chamber Orchestra. A concerto soloist with most of Australia’s leading orchestras, he has also played with such contemporary music groups as AZ Music, ACME, the Seymour Group, Flederman and the Sydney Alpha Ensemble. In 2002 he gave the Australian premiere of Christopher Rouse’s flute concerto with the Adelaide Symphony orchestra. Recordings include Spinning (contemporary Australian works), the complete Mozart flute quartets with the Australia Ensemble and a duo recital with Australian harpist Alice Giles, Enchanted Dreams…Exotic Dances. 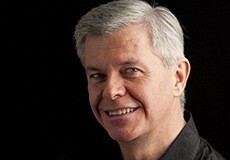 Cellist Simon Cobcroft is active as a performer of solo, orchestral and chamber music in Australia and further afield. 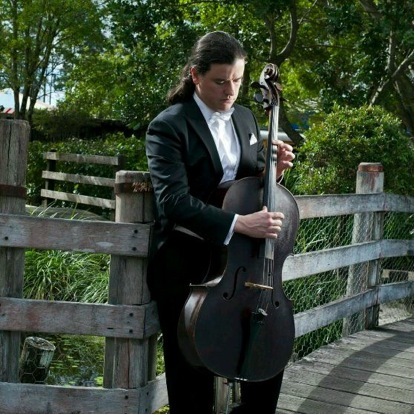 Currently the Acting Principal Cello of the Adelaide Symphony Orchestra, he has been the Associate Principal Cello with the Queensland Symphony Orchestra (2012-2014), and has also held a principal position with the Malaysian Philharmonic Orchestra (2003-2011). He is a founding member of the Lyrebird Piano Trio, winner of the Piano Trio and Audience prizes at the 2013 Asia Pacific Chamber Music Competition, resident at the Queensland Conservatorium and in January 2014 at the Center for the Arts in Banff, Canada. Simon is a graduate of the Queensland Conservatorium of Music (2000) and the Australian National Academy of Music (2003). Since then, he has has been a frequent guest performer with London’s Philharmonia Orchestra, the Bournemouth Symphony, the Esbjerg Ensemble and the London Philharmonic Orchestra. He has performed as principal cellist and soloist at the Aldeburgh, Pacific and Salzburg Music Festivals. Concerto appearances include Tan Dun’s cello concerto and D’Indy’s Triple Concerto with the Malaysian Philharmonic, Elgar and Shostakovich 2nd Concertos with Orchestra Victoria and the Dvorak Concerto at the Musici Artis Festival, Brussels. Simon studied with Matthew Farrell, Janis Laurs, Alexander Baillie, David Strange and Michael Goldschlager. He plays on a fine English cello made in 1840 by Thomas Kennedy. 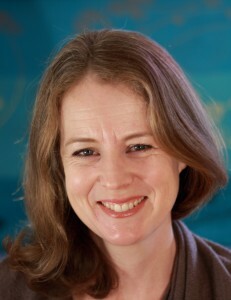 Amanda Grigg is a graduate of the South Australian College of Advanced Education where she studied percussion under the tutelage of James Bailey. In 1995 Amanda was a recipient of an Australia Council grant to study in New York with renowned marimba soloists William Moersch and Nancy Zeltsman. On her return to Adelaide she completed her Masters Degree in Performance at the Elder Conservatorium of Music. Since then, Amanda has enjoyed a diverse musical career. She has worked regularly as a percussionist with the Adelaide Symphony Orchestra, highlights including tours to Asia and the US and the Australian premiere of Wagner’s Ring Cycle. She has also performed with the Tasmanian Symphony Orchestra and numerous opera and ballet productions. Her chamber music credits include performances with Graham Ashton, The Australia Ensemble, N-Tet and Kegelstatt Ensemble. She has also recorded for television with the Australian Dance Theatre and for national radio broadcast as a marimba soloist. As an educator, Amanda has taught percussion at primary, secondary and tertiary levels. She first joined the staff of the Elder Conservatorium as a part-time lecturer, teaching in the Jazz and Classical areas in 1991. After many years of teaching privately and in secondary schools, Amanda completed her Graduate Diploma in Education and is currently the Head of Percussion Studies at the University of Adelaide.